The concept of technology has evolved to be something big and greater, and has molded the future of every possible sector and industry to a new dimension, where something more impressive can be expected to craft an impeccable user experience. But something that really matters most is that this one-word Technology, has its own myth and reality as well, which need to be debunked time and again by the technology specialist so there cannot be any iota of confusion erupting from an angle. Today we are going to discuss one of the most trending and the top technology and that is none other than Block-chain technology. You can’t deny the fact that Blockchain technology has already created a stir in the market and regardless of age or profession, every single individual is much interested to know more about this technology. It is one of the most prevalent misconceptions, where people think that both Bitcoin and Blockchain are same, but you need to understand that these both technologies are different where Bitcoin is simply based on the Blockchain technology and both have entirely different nature of work. As the Blockchain technology is still in the mode of upgradation, so the usage of Blockchain technology depends on multiple computers to run, which involves the expenses on electricity, manpower, and infrastructure. Just like you, even when I heard about the Blockchain I thought for some time that Blockchain is a unified body or a computer program and it is just the one. But on the contrary, the fact suggests that Blockchain is not just one but there are numerous Blockchains available in the market, and each one of them has their own specified purpose. The heading made me giggle enough, but this is the factual myth I got it from the real-time users who feel that Blockchain technology is completely safe and there is no chance of it getting hacked, but this where you are wrong. The nature of Blockchain technology itself is very vulnerable and the data stored in it can be tampered easily by the hackers. So Beware…!!! 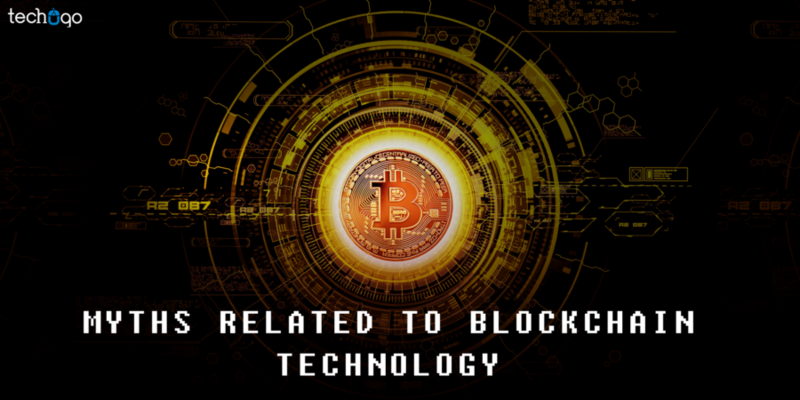 Blockchain is largely associated with the money and specifically with the Bitcoin, which was the essence of Blockchain technology when it first started, but talking about today, the nature of Blockchain technology is not reduced to money only, but it is used to channelize the services on smart contracts, digital identity solutions, cloud storage and voting systems to name a few. Since Blockchain is the storage of and list of records, so there are many industries and sectors, which take benefit out of it. Yes, there are many popular Blockchains which are public, but it is not just the fact because Blockchains can be public, private or semi-public. The basic difference between the public and private depends largely on the accessing power. The most impressive part of the Blockchain technology suggests that it is still in the process of evolving and sooner with the lapse of time and by the users’ demands there will be endless possibilities created by this technology, which surpass the imagination of the users across the globe. On the other Blockchain technology is expected to be integrated with certain improved or new features in the already popular app technology so the top mobile app development company can take the benefit out of it and the sectors from retail to financial, supply chain and many more, would have the advanced technology integration. I truly hope this writing would help you to remove your myths and you will be able to use the technology in a much better way.